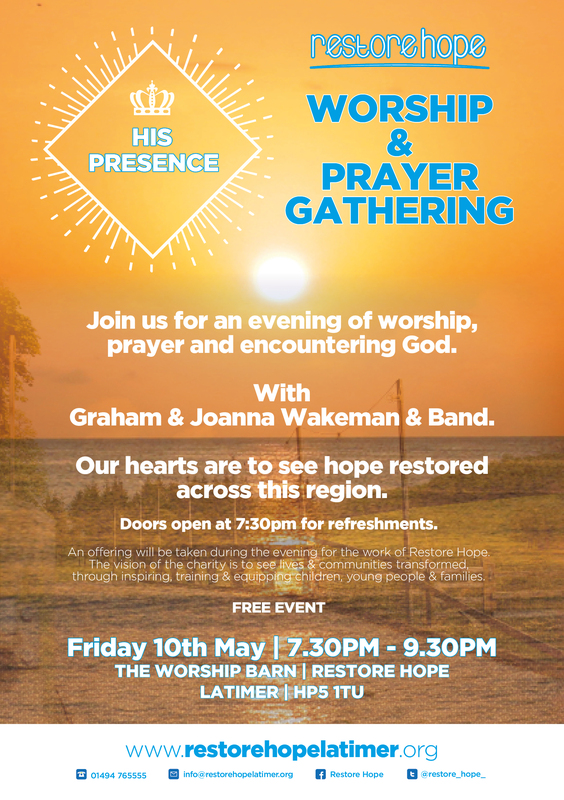 Please join us for our Spring worship event on Friday May 10th 2019 – an evening of worship and prayer in the Worship Barn. Doors open at 7.30pm for refreshments. All are very welcome.